I can totally picture these bell sleeves and short skirts around Sydney’s CBD, where more than half of the girls you meet in town have long and slender legs. Especially on a Friday evening, when nothing is too glamorous for a coffee run. 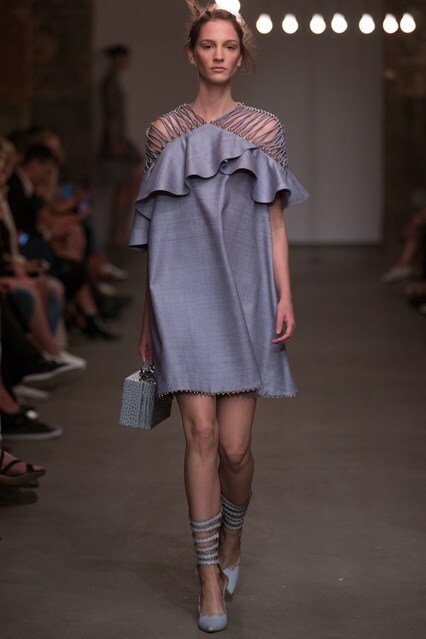 Zimmermann’s design should not be put into a specify time frame and era. 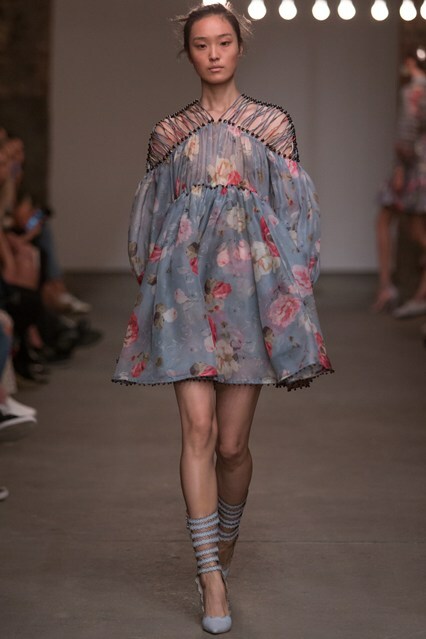 Yes there are inspirations taken and signature details of certain era, but Zimmermann hardly makes you feel like “Oh it is so 70s!”. Everything they do is experimental and so full of soul. There are plenty going on for this collection: the flares, the lace, the length, the embroidery, the bell sleeves, and the list goes on. Looks like a girl who wants everything (and got it): so many things but so cleverly put together. Everything is beautifully. The string-hanging effect is both interesting and flattering to wear, the playsuit with Victorian collar and the soft hues are just mesmerizing. And you wonder why Zimmermann is the latest IT girl.